Radio Spirits » Blog Archive » Happy Birthday, Elliott Lewis! 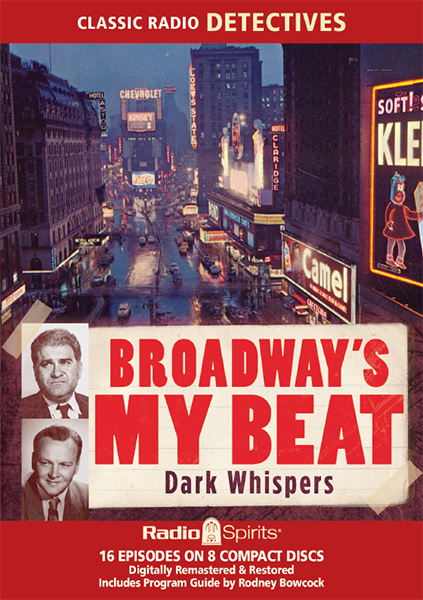 In a conversation with old-time radio historian Chuck Schaden in 1975 (reprinted in Speaking of Radio), Elliott Lewis also gave generous credit to Jack Benny, the comedian he described as “my teacher.” Lewis would eventually become a member of the wonderful stock company on The Jack Benny Program, creating such memorable characters as “the mooley” (the “Duhhh, can I help youse, huh?” sales clerk from Jack’s Christmas shopping broadcasts) and a gentleman who would trade back-and-forth with ticket salesman Frank Nelson the lyrics to popular songs (Istanbul [Not Constantinople], How Are Things in Glocca Morra?) as Benny would look on helplessly. Elliott Lewis’ radio career did not stop with “doing his bit” for Uncle Sam. As a master sergeant, he was assigned to the Armed Forces Radio Network with his Army buddy Howard “Sam Spade” Duff. Together they made strides in the art of radio editing (at a time before recording tape) in a division AFRS called “Commercial Denaturing.” The two men would record network programs off the air, edit out commercials and “anything that would be considered information that you didn’t want broadcast nationwide,” and place the content on acetate discs to be shipped to shortwave stations. These discs were glass-based, meaning they were delicately fragile. Lewis recalled that they would haul the transcriptions to their destination in an Army jeep. One night, a driver cut in front of them and the discs shifted during the sudden braking…resulting in the loss of two hours of material. 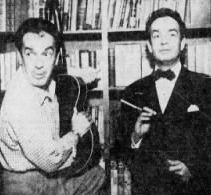 Both Lewis and Duff also functioned as announcers for AFRS rebroadcasts whenever they needed to “fill” to account for missing content (commercials and the like), so it’s not uncommon to hear their voices when listening to surviving transcriptions. 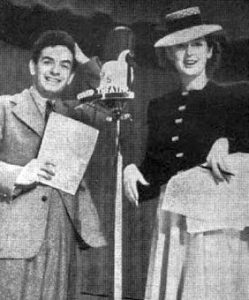 Back in civilian life, Elliott Lewis became one of radio’s busiest thespians. He was one of three actors to portray “Captain Bart Friday” on Adventures by Morse, a syndicated serial created by the man (Carlton E. Morse) responsible for One Man’s Family and I Love a Mystery. 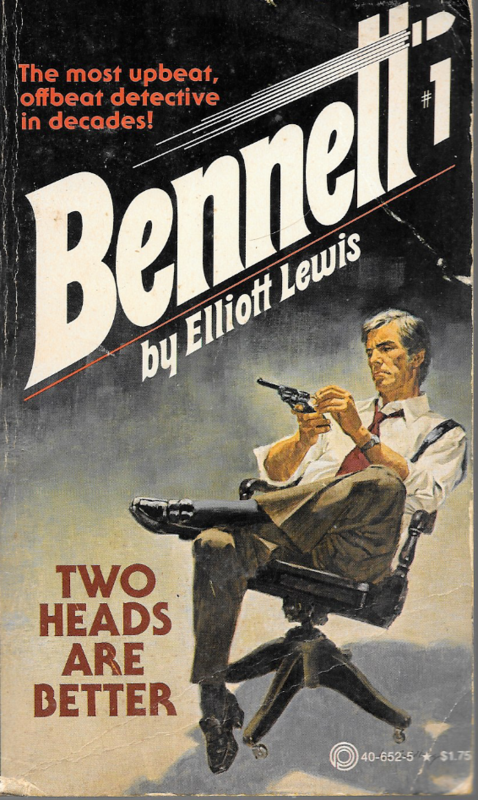 (Lewis occasionally worked on Mystery, too.) He took on the role of “Archie Goodwin” on The Adventures of Nero Wolfe; replaced Gale Gordon as the titular hero of The Casebook of Gregory Hood (Elliott learned to his dismay that no one clued Gale into the news he was losing his gig); and famously essayed “Philip Carney” on The Voyage of the Scarlet Queen. 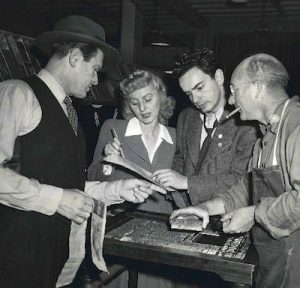 Lewis also made appearances on The Adventures of Sam Spade, The Clock, Columbia Presents Corwin, The Columbia Workshop, Dark Venture, Encore Theatre, Escape, Hallmark Playhouse, Hollywood Star Time, Obsession, The Philip Morris Playhouse, Screen Directors’ Playhouse, Tales of the Texas Rangers, The Whistler, and Your Movietown Radio Theatre. In his interview with Chuck Schaden, Elliott Lewis recalled sitting down with Jack Benny and saying “Please explain something to me. I know that when Phil and I work that it’s funny and the jokes are funny but I don’t understand why the laughs are so big. What are we doing?” His “teacher” responded: “You’ve found a wonderful thing in the relationship you two have. The two of you say and do what everybody in the audience would like to say and do in a similar situation if they had the nerve. But nobody has the nerve that you two guys have, and that’s what people are laughing at. They’re just delighted.” Although Lewis had to use his actual name instead of the “Frankie Remley” handle in the final two seasons of the program, the chemistry between him and Phil Harris remained one of radio’s finest. Even today, The Phil Harris-Alice Faye Show continues to delight old-time radio fans old and new. As noted earlier, Elliott Lewis was good at his craft…but he didn’t enjoy it to the extent other actors might. To relieve the boredom, Lewis began to explore other avenues of expression. He started writing and contributed scripts to The Whistler and Suspense. 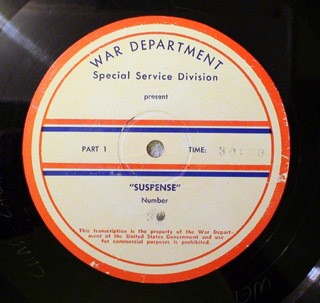 Suspense director-producer William Spier began to let Elliott direct broadcasts of “radio’s outstanding theatre of thrills.” (Lewis noted that he’d get the tap whenever the show had a bad script or an uncomfortable situation that required Spier’s attention…who then wound up calling in sick). 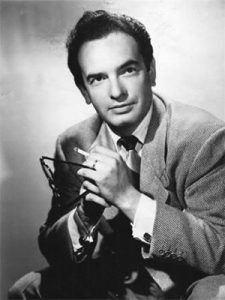 By August of 1950, Elliott had assumed the director-producer duties of Suspense (which he maintained until July of 1954). 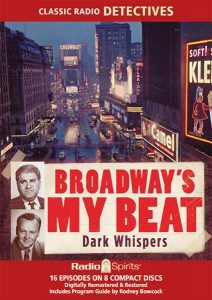 He also served as either director and/or producer on a few other programs, including Broadway’s My Beat, Crime Classics (a show he also created), The Lineup, Mr. Aladdin, On Stage (on which he performed with wife Cathy Lewis), and Pursuit. Elliott lightened his workload in the mid-50s but continued to dabble with directorial/writing assignments on one of the medium’s attempts to keep Radio’s Golden Age thriving: The CBS Radio Workshop. 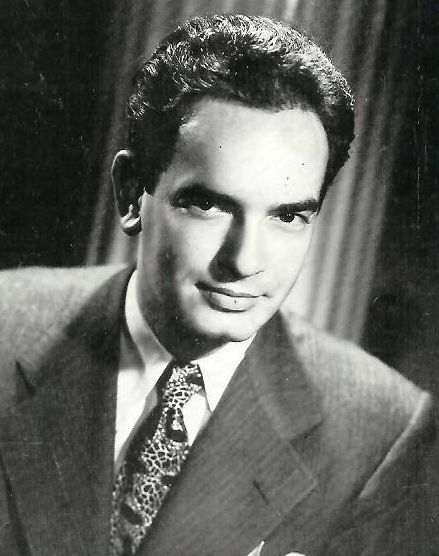 Lewis also played a substantial role in the effort to revive radio drama in the seventies, tackling such projects as The Hollywood Radio Theatre (a.k.a. The Zero Hour) and The Sears Radio Theatre. 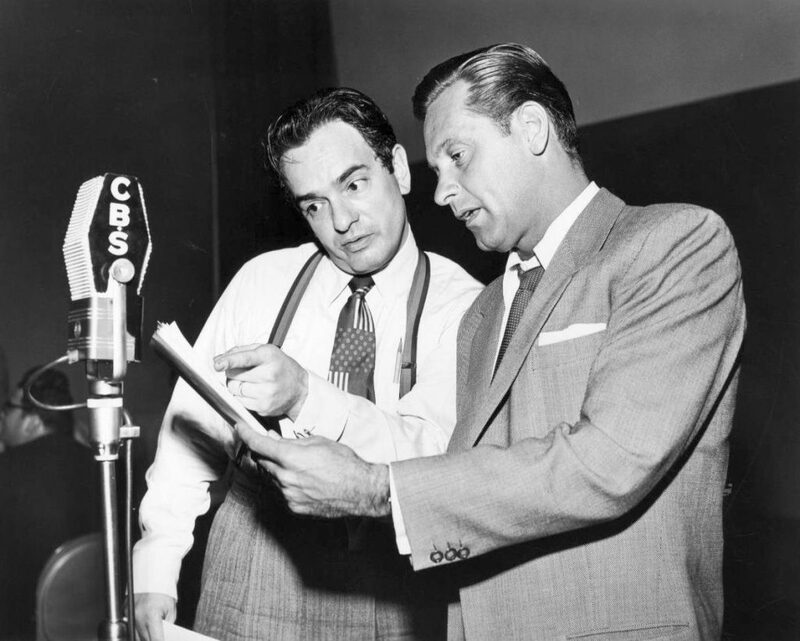 As a creature of radio, Elliott Lewis didn’t have much time for movies…but you’ll run into him in features like The Winner’s Circle (1948; which he narrated), The Story of Molly X (1949; featuring wife Cathy), Ma and Pa Kettle Go to Town (1951), and Saturday’s Hero (1951). By 1954, Elliott was bringing his behind-the-camera talents to TV series like Climax!, The Court of Last Resort, Mackenzie’s Raiders, and This Man Dawson. In the 1960s, Lewis was the producer on shows like The Lucy Show (on which his second wife, Mary Jane Croft, was a regular) and The Mothers-in-Law. He also managed to direct a few episodes of TV favorites like Bat Masterson and Petticoat Junction. While attempting to apply the paddles to radio in the 1970s, Elliott worked on special writing projects for Paramount Pictures, and his last major contribution to TV before retiring from the business was serving as a script supervisor on NBC’s hit series Remington Steele. 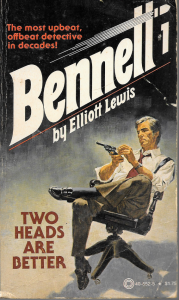 Lewis must have enjoyed the mystery angle of that program, because he penned a few novels himself in retirement (featuring an ex-cop-turned-P.I. named Fred Bennett). Lewis died of cardiac arrest in 1992 at the age of 72. Elliott Lewis enjoyed his second career as a novelist “because the writer is the actor, director, producer, wardrobe person, weatherman, location director, stunt and second unit director, crowd handler, transportation gaffer and everything else I’ve ever been around, all rolled up into one person.” Radio Spirits invites you to sample some of the birthday boy’s “all-rolled-up” talents in collections of Broadway’s My Beat (Dark Whispers, Great White Way, The Loneliest Mile), Crime Classics (The Hyland Files), The Lineup (Witness), The Mutual Radio Theatre, and Suspense (Ties That Bind, Wages of Sin). You can hear Elliott the Actor in sets like Dark Venture, The Halls of Ivy: School Days, Lights Out, Everybody, Suspense: Beyond Good and Evil, Voyage of the Scarlet Queen: Volume Two, and The Whistler: Skeletons in the Closet. In addition, here’s plenty of “Mr. Radio” in our Burns & Allen (As Good as Nuts, Illogical Logic, Muddling Through) and Jack Benny (Fabulous ‘40s, The Great Outdoors, On the Town, Planes, Trains and Automobiles, Silly Skits, Tough Luck!) compilations. We’ve saved the best for last: check out The First 20 Episodes, our latest aggregation of broadcasts from The Phil Harris-Alice Faye Show, and from The Fitch Bandwagon: Buried Treasure, A Song and a Smile, and Stepping Out. Happy birthday to you, Mr. Lewis! Thank You RADIO SPIRITS for honoring one of the best radio actors and my favorite radio actor on his Birthday, Elliott Lewis. I enjoy listening to THE PHIL HARRIS-AlICE FAYE SHOW and hearing Elliott Lewis play Frankie Remley. Phil Harris and Elliott Lewis are the Funniest comedy duo on radio. THANK YOU. They’ll remember me at that clinic. « Happy Birthday, Bernard Lenrow!